If it was a physical product, you could return it. But it is digital, private and personalized to your email address. You can compare tokens with prepaid call credits. There is no chance something is wrong with your tokens, they remain valid for ever until you use them. Neither there is a chance something is wrong with your license key, for false positives you need to disable anti-virus or use another system. By being a customer (after your purchase) you also gain access to all our free services and updates (free of charge). If you are trying to get an unfair refund, we will take actions. We hope you understand that we are forced to put your email + name on a Fraudster / Scammer Blacklist (accessable trough Google search) and your access to our free services will be blocked. If you purchased tokens and/or software license with an paypal email address which you can't access (inbox) anymore, then please let us know your paypal email address which you have used for making payment and your new email address which you use. Our database engineer can change your email address in our databases. Why didn't I receive any email after my purchase? Answer:Normally it will take 8 minutes (it depends on email provider) after payment that you receive your tokens or software license by email. In cases you didn't received our email (for example because your spam filter removed the email), you also can resubmit tokens by yourself, for resubmitting Tokens (CLICK HERE). Do not forget to check your spam / junk folder. Be sure your inbox (email address associated with your Paypal account) is not full and accessable! I don't know how to use your services can you guys help me? Is there any support offered? Answer: Unfortunately not, because our goal is to offer the lowest price. Our services are 100% webbased and DIY (Do-It-Yourself) and meant for professions with required knowledge. If you have questions which are not listed in our FAQ, please let us know by e-mail. Why didn't I received my tokens or license(s)? I accidentaly deleted my tokens (email), what now? When I have entered a token it gives "Invalid Token" error, why is that? Answer: This problem is caused by copying & pasting. Be sure there is no space " " after the token while you copy/past it. Answer: No, they never expire. Your tokens remain valid until you use them for a successful calculation. Can I buy a single (only 1) token? Answer: No, min. order quantity is 5 tokens. After your purchase you gain access (for ever) to our free services + updates. How to use Dump To PIN calculation (Easy & at Cheapest)? - Basic knowledge about EEPROM, FLASH and MCU chips. 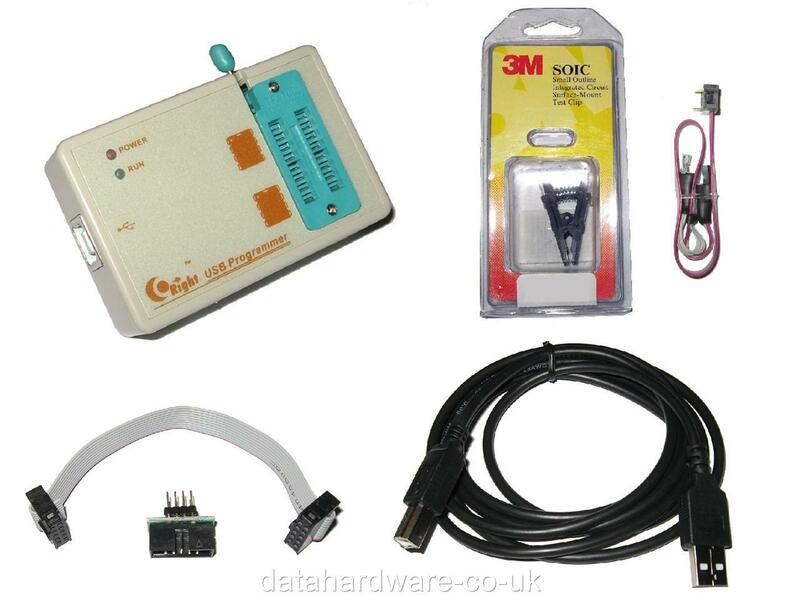 - Basic knowledge about car electronic units (immobilisers, transponders etc.) and how to locate & open (disassemble) them. - Several EEPROM / FLASH / MCU programmers and knowledge about how to use them. So you will be able to read FLASH and EEPROMs. For Motorola chips / MCU you need an other programmer such as xprog-m and you will be covered 95% of the chips. You need to open the electronic units (such as dash, ecu, immo) and in some cases there is no need to desolder the chip. You can use the SMD clip to readout the chip and save the result (dump), Here you can see the SMD chip in action : https://img.auctiva.com/imgdata/1/1/0/9/7/1/3/webimg/719230871_o.jpg. After that you can upload the dump to our website and calculate the pincode. This is the cheapest and easiest way to obtain pincode from dump. Note: We don't offer any support for your devices, such as reading proccess, how-to use etc. for all your questions you can contact your supplier. We do not recommend you to use clone/copy versions, you can damage the electronic units! Why do I get the error "Wrong or unsupported dump file"? Answer: Be sure you read the correct immo chip. For a stable result always desolder the chip and verify the reading proccess before saving the dump file. To see a list of supported units + immo chips: 1. Select car brand, 2. Click on the question mark (?) beside the text "Select dump file". RB4/8 dashboards, crypto ECU's such as MEV17, MED17, EDC17 (MEDC17). For MEDC17 we have IMMO OFF solution (free service for our customers) - CLICK HERE. For unsupported units, such as above and 3C dashboards with 24C32 (VAG), some 4D dashboards (Audi) try to calculate the PIN by ECU, KESSY, etc. or another supported unit. Are all VINs supported by VIN to PIN/KEY calculator? Answer: If the VIN is stored in our database then the PIN/KEY will be shown. So the answer is: NO, if you want to be sure, please contact us before purchasing tokens so we can confirm. Does VIN to PIN for KIA / Hyundai calculate 4 and/or 5 digit PIN code? Answer: No, VIN to PIN for KIA / Hyundai only calculates 6 digit PIN code(s). Does VIN to PIN for OPELS work for EU Cars? Answer: No, VIN to PIN for Opel is only for Latin Opels. Supported Units are: BCM, CIM, DDM, Display, ECU, Immobox, Dash, navigation, Radio, UCH. !! !Note: Select Renault as brand for Opel models based on Renault platforms. Does LATIN Chevrolet, Opel / Vauxhall, Holden, GM VIN to PIN calculation supports all VIN's? Answer: No, VIN to PIN calculations (for: Latin Chevrolet, Latin Opel / Vauxhall, Latin Holden, Latin GM) are only designed for Latin vehicles, which are manufactured by General Motors and made in Brasil, Mexico, Argentina etc. (Latin = South America). Please note VIN coverage may not be 100%, this service covers only some 2000-2010 models..
Are all Mitsubishi and Suzuki models supported for Model Name to PIN calculation? Please note Default PIN code can be changed by using an diagnostic scanner. In this case you will need to calculate PIN code by dump. To calculate default immobilizer (PIN) code for Mitsubishi/Suzuki, enter first 4 chars of model name (exception for models with short names, such as SX4). I want to use Free Services, how to become a member? Answer: Once you have purchased tokens (minimal 5 tokens), you will have unlimited and forever (free access) to all our free services and updates*. Even if you spend all your tokens you still have access. Can I still use free services after I used all my tokens? Why do I get "SAFE" in dash after immo off EDC17 (VAG)? Answer:After Immo off VAG ECU, car will start without a valid transponder (always use a key with transponder even if it is blank). By using a donor ECU or dash the car also will star, but you will have SAFE in dash due non matching dash cluster data. Always be sure new (donor) unit serial number and HW versions are matching with original unit. In case of replacements, note that ECU from automatic transmission car doesn't work in manual and vise versa. To get rid of SAFE, PIN/CS/MAC must transferred from original unit to new (donor) unit. There are expensive tools required to do that correct. 2. Use a key with transponder and leave ignition ON for 20 min. 2. Use a key with valid transponder and turn key 5 times to "ON" and "OFF"
2. Click "Connect to Vehicle" button. 3. Select Division, Model, Year, Engine and specify Options. Click "Next >". 4. Select "Smart Key" in "All ECUs" Tab. 6. Select "Smart Code Reset" in Utility Selection Menu (Smart Key Live-tab). 7. Make sure driver door is open. Close all other doors! And don't touch steering wheel and pedal! Smart Code Reset utility will erase all smart codes in vehicle! 8. Check "I understand" and click "Next >". 9. Click "Get Pass-Code" button and press "Copy" to copy Seed Number to the clipboard. 10. Open our online PASS-CODE Calculator. Paste VIN vehicle, Seed Number and press "Calculate Pass-Code". You will get Pass-Code Number. Paste Pass-Code, click "Next >" and confirm. 11. Smart Code Reset will start. Wait for 16 Minutes for Smart Resetting. When it is finished use one of the Toyota factory procedure for programming keys. NOTE: When ID Code Box and Smart ECU are replaced a Smart Code Reset must be performed! You can use Smart Code Registration for new and used smart-keys. 6. Select "Smart Code Registration (Clasic)" in Utility Selection Menu (Smart Key Live-tab). 7. Make sure Power/Engine Switch is ON (IG) and click "Next >" to proceed. 8. Choose for 3th option ("I am a registering keys and have replaced the ID Code Box and Smart ECU or have performed Smart Code Reset") and click "Next >". 9. To register a key, touch the Power/Engine Switch with the key (within 30 seconds). Why do I get the error "Lost Connection to Vehicle"? Answer: Seed codes are "rolling codes", if the procedure takes too long or if the hardware get disconnected then pass-code won't be accepted. Be sure there is no mistakes in 96 chars and VIN, because it is impossible for our calculator to return a wrong Pass-Code. Another major common problem is a defective USB extension cable. If the problem continues it could be a software bug, try to upgrade/downgrade to an other supported version. But ALWAYS be sure USB extension cable is working 100%. Smart Code Reset will take up to 16 minutes. If the code isn't accepted because of defective USB extension cable, low battery, electronic glitch, unuseful key etc. then re-use your same token until you succeed. When using this service your token will be linked with the VIN, so if the connection losses for previously mentioned reasons then you can repeat PASS-Code calculation for FREE. What can I do if calculated enc. rnd. number isn't accepted? Answer:If the code isn't accepted by hardware failure or DAS software bug, as temporary solution you should disconnect and reconnect to vehicle to generate a new "random number", 2nd calculation the code should work. If you find any bugs in the calculator please let us know the ID Code (serial number of MR control unit) and we'll release an update (free of charge). When I run the calculator it gives "Component 'TabCtl32.ocx'..." error, how can I solve the problem? Answer:Extract files NEW_FDOK_CALCULATOR.exe and TabCtl32.ocx and be sure they are in the same destination path/dir/folder. Right click (with your mouse button) NEW_FDOK_CALCULATOR.exe and choose "Run as administrator", that one should fix the issue (auto register the missing/required OCX file) and software will run. Please contact us if there is any trouble after you tried this. Answer:The software needs to make contact with our License (web)server + database to check your license if it's valid and not a pirated version. If it can't contact the license server, for example if you're not connected to internet then this error will be shown. ** Software requires internet connection for license checking (anti crack protection). Our software works without dongle and is not hwid locked (you can run it on any system), but it requires internet access because of all software can be cracked/patched in memory and there is no way to protect it without online license check. As temporary solution you can ask someone to run it on a system with internet connection and call them over phone to give input and ask them for output. Maybe your firewall is blocking the file, in that case you need to put the file in "trusted" or "whitelist". If it still doesn't work then it could be caused by OS configuration settings, try to run the calculator on another system. Which calculations are X# calculations are supported by FDOK Calculator? Types such as XA, XS, X1-X8 (key learning) etc. are calculated in electronics control modules, it is impossible to generate them with a standalone software. The only solution is a physical access to modules (ACM, PLD, MCM, etc. ), but we don't know the OBD/hardware data algorithms.